The number of investor visas issued in Portugal has climbed in the first half of 2016. Delays in 2015 meant the number of residency permits issued declined from the record set in 2014. However with new government procedures now in place figures for 2016 are running at a faster rate and look set to break new records for this year. 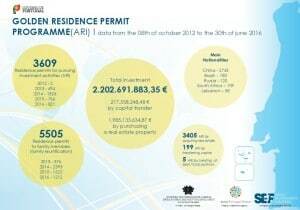 A total of 821 residence permits have been issued so far in 2016, more than the total for 2015 as a whole and over half so far of the record breaking year in 2014. Over €2 billion has been invested in Portugal since the scheme started in 2012. While most applicants have been from China a growing number in recent years are coming from elsewhere in Asia, Africa and the Middle East. 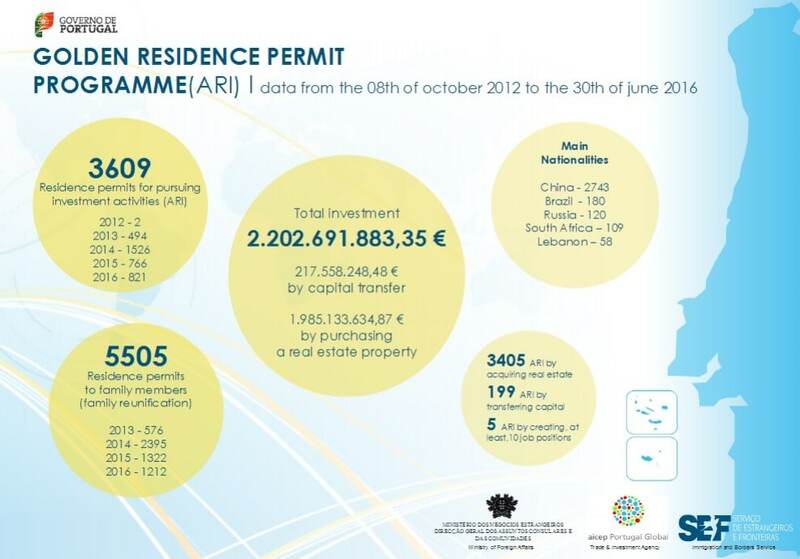 The residency programme in Portugal is not a citizenship by investment scheme but separately citizenship can be applied for after holding residency for six years. The programme has proved to be one of the most popular investor visa programmes in Europe as to qualify for citizenship it is not necessary to live in the country.